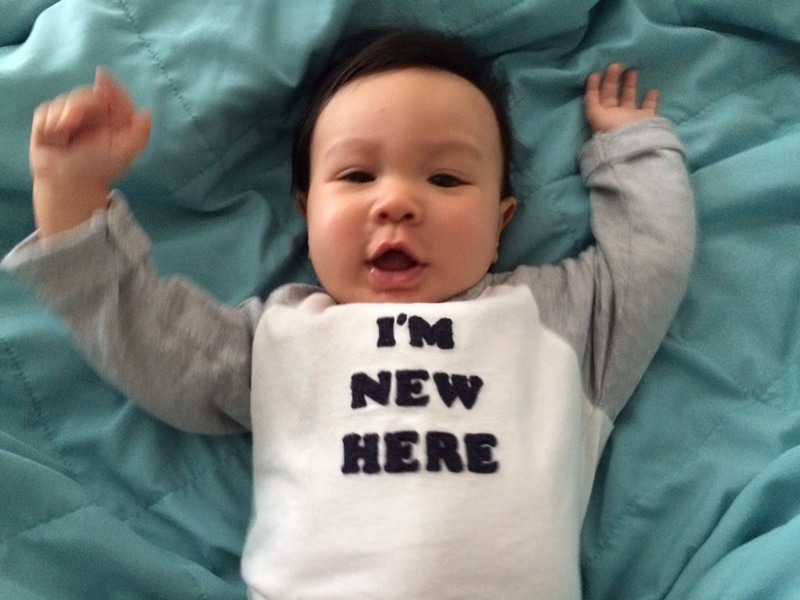 Baby Selfish is now 5 months old and is starting to transition out of the “will-sleep-anywhere” phase to the “wants-to-look-grab-and-yell-at-everything” phase. Don’t believe the hype. She’s actually been around for several months. While I am a huge fan of cheap third world countries, Baby Selfish seems to be thriving under a steady routine, and I’m not sure what third world countries she could visit at this point. Probably none. So instead, we decided to explore more of good ol’ North America. Check out our 2015 – 2016 travel schedule. USA! USA! USA! Also… Canada. Mr. Selfish and I love New York City. We have considered living there but I don’t think I would like the winters too much. We therefore included NYC as our final stop before heading to my parents’ in Virginia. Not only do we have some great friends that live in the city, but we love the cheap, plentiful, and delicious food. Here are some of our favorite eats during this last stop. 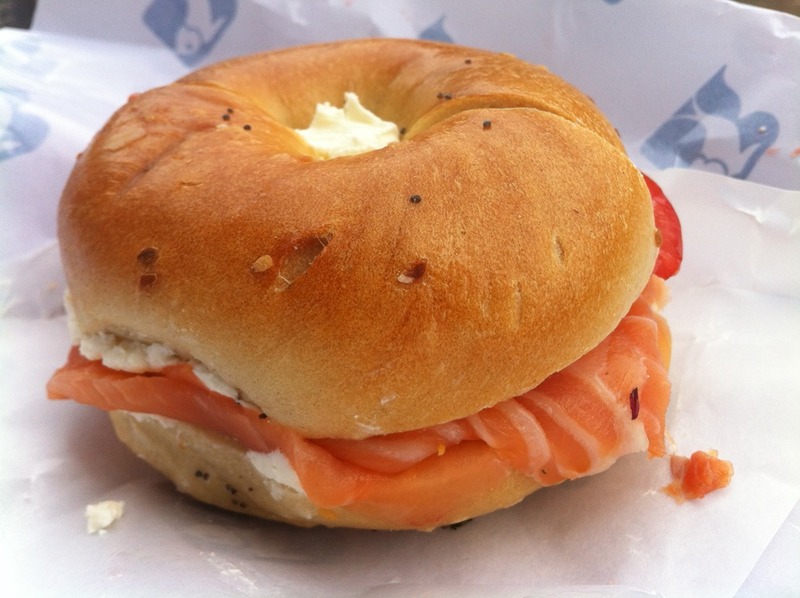 Although Mr. Selfish never really cared much for lox bagels, I have enjoyed them in the past. 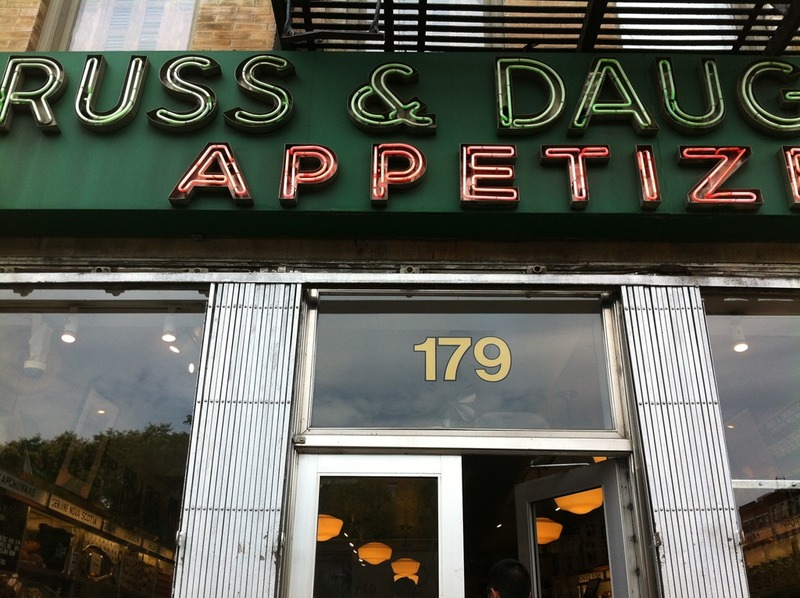 When our friends recommended Russ & Daughters (179 E Houston St NY , NY 10002) for lox bagels, we figured we would give it a try. 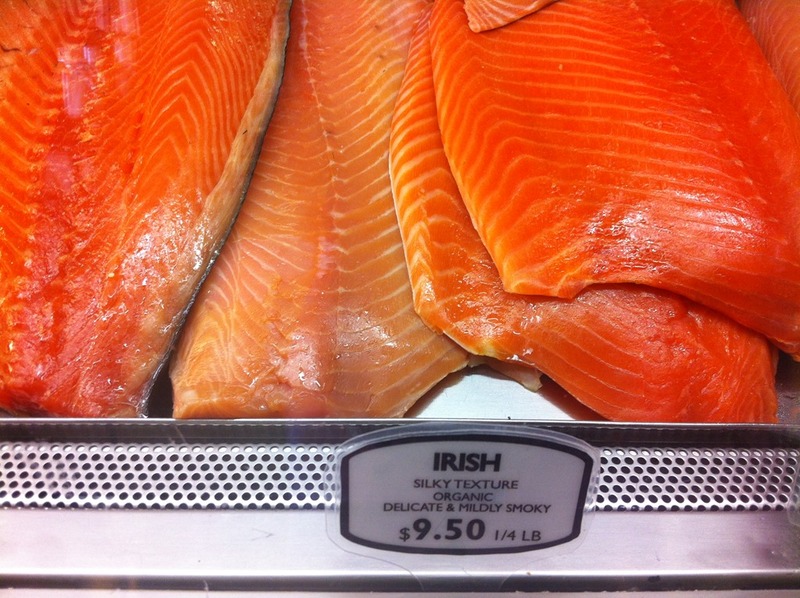 We were astonished at the amount of choices you had for a single lox bagel, but we ordered an everything bagel with regular cream cheese, the Irish salmon, and red onions. 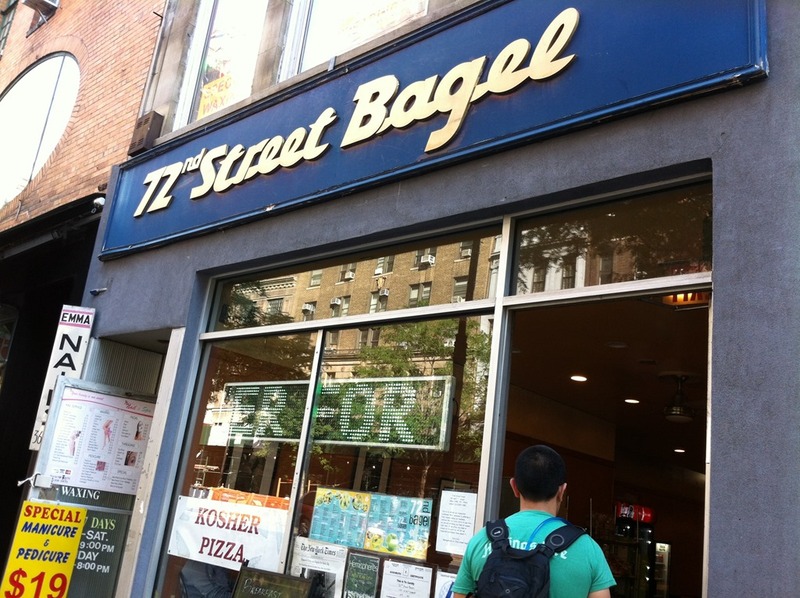 As the man at the counter was handing us the bagel, he told us, “You’ll love it.” And indeed, we did. It was mind-blowingly delicious! Although the lox bagel from Russ & Daughters was mighty delicious, Mr. Selfish still wanted a regular bagel while we were in the city. 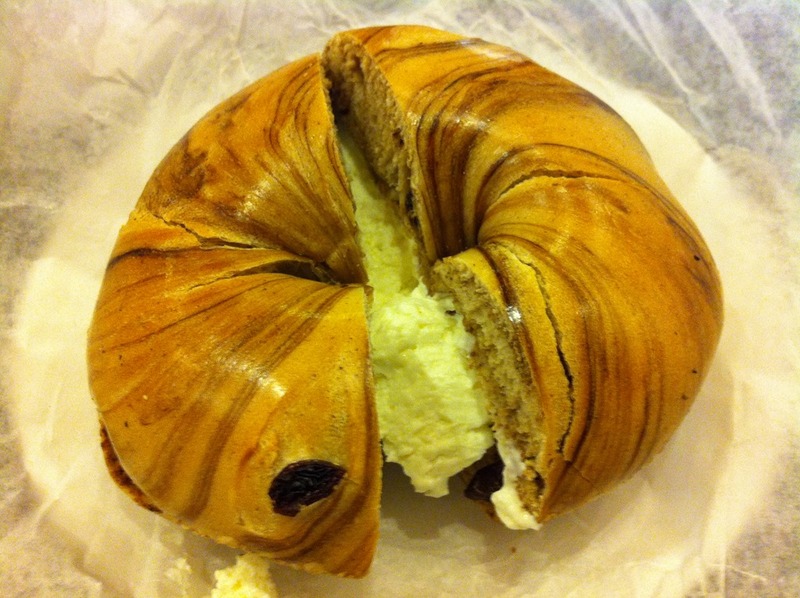 We tried a cinnamon raisin with regular cream cheese at 72nd Street Bagel (130 W 72nd St, NY, NY 10023). It didn’t disappoint. Mr. Selfish gobbled up that thing so fast that it was gone in a matter of seconds.